Damian Hinds has been announced as England's education secretary in the prime minister's Cabinet reshuffle. 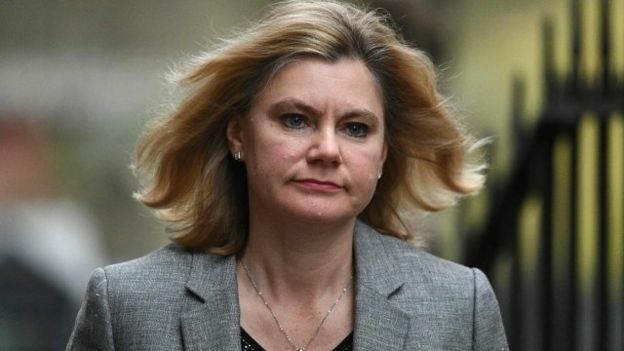 Ms Greening, the Conservatives&apos; first comprehensive-educated education secretary turned down a switch to the Department for Work and Pensions. Mr Hinds, formerly a minister at the DWP, went to a grammar school in Altrincham and then studied at the University of Oxford. Head teachers have said the new education secretary must get to grips with core problems over school funding and staffing shortages. The new education secretary also faces big decisions over higher education, including the future of tuition fees and university funding. The Prime Minister Theresa May has promised there will be a major review of how students pay for university - after pledges from Labour to young voters that they would scrap tuition fees. There will also be more pressure from head teachers over school funding, which became a doorstep issue in the general election, with warnings that schools were having to ask parents for financial contributions. Jules White, a West Sussex head teacher who co-ordinated letters sent to 2.5 million parents over school funding concerns, says too often schools policy has been sidetracked by "dubious ideological pursuits" or "tinkering around the edges". Mr White says the "massive issues" of school funding and teacher shortages must be a priority - and that the reshuffle must be more than "window dressing". In the wake of the election, Ms Greening announced that an extra £1.3bn of the education department&apos;s budget would be moved to schools. She pressed ahead with a new funding formula, intended to tackle regional anomalies in funding for individual schools. Ms Greening had made social mobility the focus of her 18 months in office and had built bridges with the teaching professions. But there had been questions about how much her approach aligned with the priorities of 10, Downing Street and whether the schools policy was connecting with the public. The Conservatives&apos; flagship policy of bringing back grammar schools was abandoned in the wake of the election. There are election manifesto pledges still to be delivered - such as the promise to change the rules to make it easier for faith groups to open free schools. With the focus on Brexit, there was no education legislation in the last Queen&apos;s Speech. And the incoming education secretary will be expected to re-energise the Conservatives&apos; plans for schools. It all looked so promising at the start. Justine Greening was the straight talking Education Secretary who&apos;d gone to a comprehensive in Rotherham not a public school. She talked frankly of a "social mobility emergency", which seemed to fit closely with the PM&apos;s agenda of reaching the squeezed middle. But Justine Greening was never a standard bearer for ideological reforms, whether the free school programme or new grammar schools. School budgets were under pressure from rising costs, and the data was weaponised by teaching unions into a website that showed the impact on each school. That ignited campaigning that had a devastating effect on the Conservative vote at the ballot box in the general election. Some extra money came, but too late to make much impact. A series of political sticking plasters were applied to the sore point of tuition fees, now frozen with a rather mysterious review underway. Education is the third largest area of government spending, and polling suggests the public now see it as the third biggest concern facing Britain.